New regulations and guidance documents from the US FDA will soon have to undergo scrutiny from the Office of Management and Budget to determine whether they're "major" and should therefore be reviewed and approved by Congress. 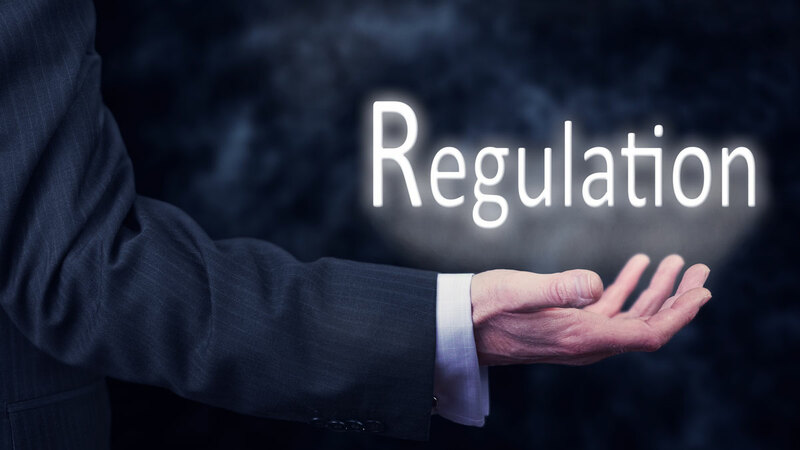 The direction from OMB acting Director Russell Vought in an April 11 memo will undoubtedly delight some in the medical device industry who have complained for years that the FDA uses voluntary guidance documents to actively drive regulatory decisions. The US FDA will soon have to submit new regulations and guidance documents to the Office of Management and Budget so it can decide whether they meet the threshold of a so-called "major" document that must be reviewed and approved by Congress. The plan is outlined in an April 11 memo to the heads of US agencies from OMB acting Director Russell Vought, which says rules and guidances must go to OMB's Office of Information and Regulatory Affairs for review beginning on May 11. Under the 1996 Congressional Review Act, an agency document is considered to be major if it impacts the US economy to the tune of $100m or more; increases costs for consumers, industries or government agencies; or affects the ability of US companies to compete with foreign ones. "Agencies should not publish a rule – major or not major – in the Federal Register, on their websites, or in any other public manner before OIRA has made the major determination and the agency has complied with the requirements of the CRA," Vought's memo says. What makes Vought's memo stand out is its direction to agencies that their guidance documents should be sent to the OIRA for review. The move from the OMB should come as no surprise given that it's in line with the Trump administration's goal of deregulation, a pet issue for the president. But what makes Vought's memo stand out is its direction to agencies that their guidance documents should be sent to the OIRA for review. If a guidance is deemed to be major by the OIRA, it would then go to Congress for a review and vote. That's a break from traditional practice – Congress typically doesn't involve itself with approving agency guidance docs. The Congressional Review Act "applies to more than just notice-and-comment rules; it also encompasses a wide range of other regulatory actions, including inter alia, guidance documents, general statements of policy, and interpretive rules," the memo says. Because the "OIRA does not consistently receive from agencies the information necessary to determine whether a rule is major," Vought complained in his memo, government agencies must now follow a process when they want to put out regulations or guidance docs. First, an agency must keep the OIRA abreast of documents in the pipeline. And rules or guidances sent to the OIRA by an agency should include an analysis to help the office better determine if they are major or not. "This analysis should be appropriate to the type of rule and the degree of uncertainty concerning its impacts," the memo says. "Insufficient or inadequate analysis may delay OIRA's determination and an agency's ability to publish a rule and to make the rule effective." After a document is branded by the OIRA as major or minor, "agencies may send the CRA report to Congress and the Comptroller … and may then publish the rule in the Federal Register, and otherwise publicly release the rule," the memo says. "If OIRA designates a rule as major, agencies should delay the effective date of the rule by 60 days from the date of the rule's submission to Congress or the rule is published in the Federal Register, whichever is later." Vought notes that the OIRA will designate "certain categories of rules as presumptively not major" to give priority to documents that are more likely to be major. "OIRA will work with senior agency officials to identify categories of rules that are presumptively not major because they are unlikely to result in the impacts described for a major rule," he wrote.